I created solution named AccountSolution. I added new project named Accounting by right clicking on AccountingSolution and selecting Add > New project menu. In the next step I added reference of System.ServiceModel to project references. Tip: Sometimes "Edit WCF Configuration" does not appear in right-click menu. 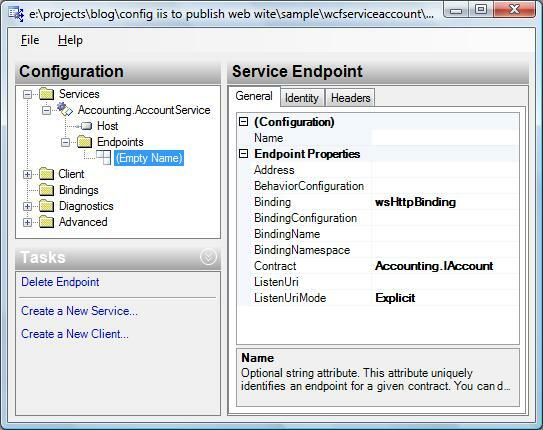 Once open "WCF Service Configuration" from tools menu and close it, this cause menu appear next time in right click menu. 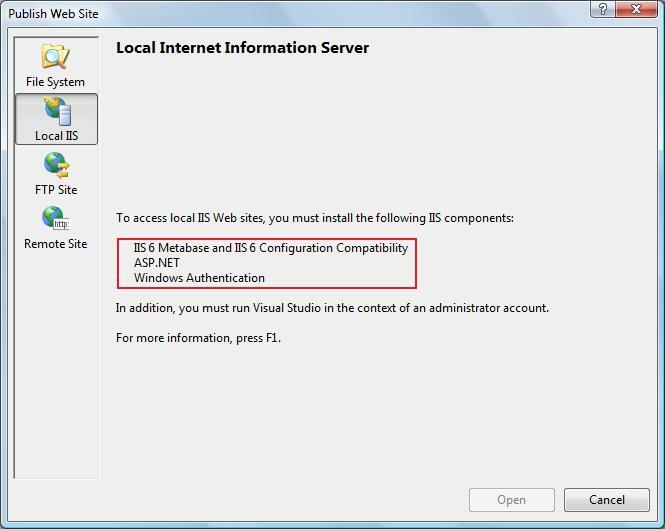 To Access local IIS Web sites, you must install the following IIS component. 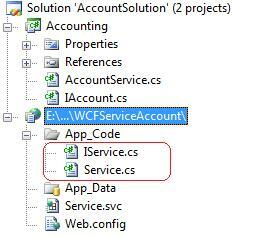 Server Error in ‘/WCFServiceAccount’ Application. 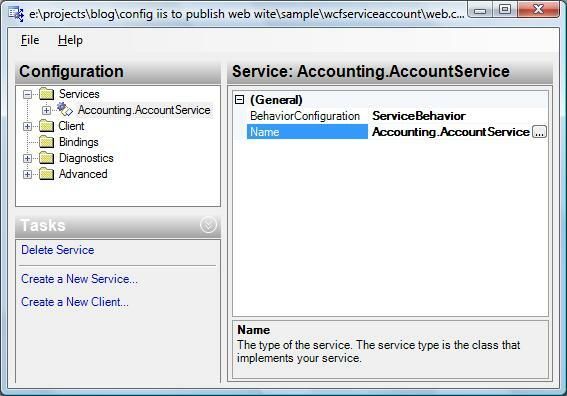 Description: An error occurred during the processing of a configuration file required to service this request. Please review the specific error details below and modify your configuration file appropriately.Parser Error Message: Unrecognized configuration section system.serviceModel. Pay careful attention to preconditions (e.g. runtimeVersion, pipelineMode, bitness) and compare them to the settings for your application pool. Pay careful attention to typographical errors in the expected handler line. Open a command prompt and change directory to %windir%\system32\inetsrv. More Information…This error occurs when the file extension of the requested URL is for a MIME type that is not configured on the server. 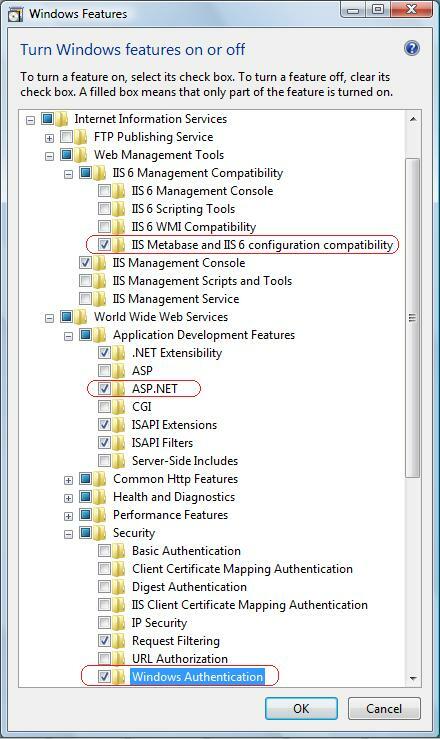 You can add a MIME type for the file extension for files that are not dynamic scripting pages, database, or configuration files. Process those file types using a handler. You should not allows direct downloads of dynamic scripting pages, database or configuration files.